Where: Radio City Music Hall, 1260 6th Ave., btwn W. 50th & W. 51st sts. 'Tis the season to snag your seat for New York City's most iconic holiday show: the Radio City Christmas Spectacular. 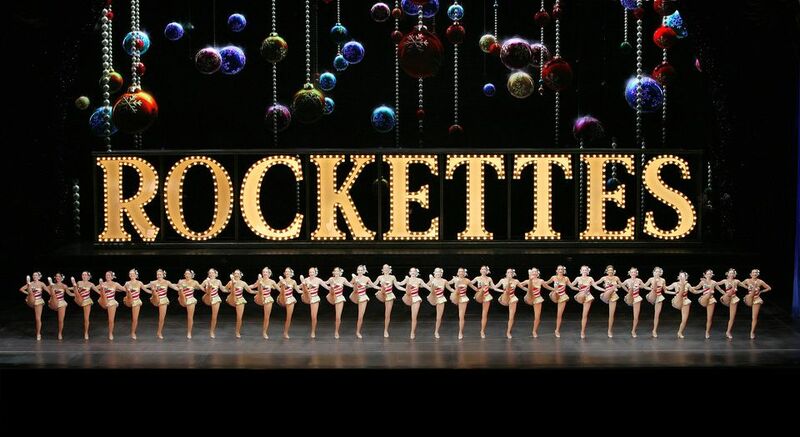 A beloved holiday song-and-dance spectacle in Manhattan since 1933, the show's 2015 season (running several times daily from November 13, 2015 through January 3, 2016, including on Christmas Day), will be bringing back lots of favorites—anchored, of course, on those legendary high-kicking Rockettes—and also incorporating some more recent additions, centered on special effects technology and updated choreography. Many of the 90-minute show's most beloved traditional elements will return, including the live animal-supported "Living Nativity" (featuring camels, sheep, and donkeys); a Nutcracker scene with dancing teddy bears; and on-stage ice skaters, whirling away. Plus, look for more modern favorites like a 3-D ride through the skies of New York with Santa, as he makes way for his North Pole toy factory. As for the costumed Rockettes, part of the NYC holiday season for more than 85 years now, their high-precision dance numbers and sky-high kicks will highlight classics like the “Parade of the Wooden Soldiers,” and an updated rendition of "Rag Dolls," which was first introduced to the program in 1940 and depicts the long-legged gals as living, tap-dancing rag dolls. Some of the Christmas Spectacular's newer technologies will be showcased via the finale number, "Snow" (which first debuted in 2013), when the hall is transformed into a winter wonderland, courtesy of 4-foot-wide, GPS-enabled snowflakes that gracefully propel through the air (thanks to their helium filling and motor propulsion). Look, too, for high-tech digital projection and mapping technology to create an immersive visual experience, spread across the stage's massive LED screens, along with the theater's proscenium arch and ceiling (used during show segments like the “Living Nativity” and “New York at Christmas”). Show tickets start at $46 (kids under 2 who are seated on an adult's lap are free) and can be purchased at the Radio City Music Hall box office daily, from 10am to 6pm, or online at radiocitychristmas.com. Do some deal-hunting, too, for frequently run promotional coupons from outlets like AAA and McDonald's; past deals have included "buy one, get one free" offers, as well as rate reductions. Performances run several times daily, and include particularly family-friendly morning shows and afternoon matinees; Radio City's doors open one hour ahead of scheduled showtimes. Keep in mind that the immensely popular production attracts a staggering one million audience members annually, so don’t delay on securing your seats.